We will perform the Kshitigarbha Practice to pacify future earthquakes in California, Nepal, and other places. This practice is especially beneficial for those who have heavy problems, serious health problems, big projects, or financial difficulties. Lama Zopa Rinpoche suggests it is extremely powerful to recite every day for protection, at least four or five times or more, depending on how crucial it is. This practice is effective even to grow crops well and to protect land and crops. 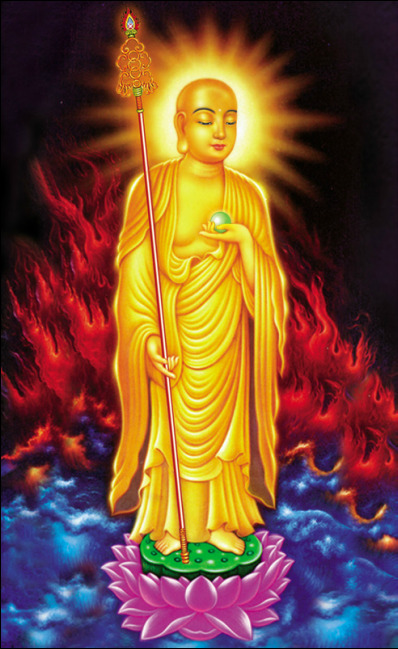 In the sutra of the bodhisattva Kshitigarbha are explained the extensive benefits and qualities: they are like the sky, like skies of benefit to all beings. There have been experiences, similar benefits (to those spoken of in the sutra) received by those who practice Kshitigarbha. ​These are free events. Donations are appreciated.